Over the next month or so I’m taking part in the ’23 Things for Research’ initiative at University of Surrey in a bid to re-activate my latterly dormant blog. Here’s to more musings on all things documentary, animation and related! An article I wrote about the use of animated segments in live action documentary has been published in Animation: An Interdisciplinary Journal. I think the article is free access at the moment. Otherwise get in touch and I’ll be happy to share the accepted copy with you. The article is one that I’d been wanting to write since I finished my book, in which animated segments get a short mention but I didn’t have the space to explore further. Seeing as this use of animation in documentary is becoming increasingly common, I was happy to have the opportunity to think more about how these animated segments work. I’m revisiting animated documentary in two upcoming talks this May and June. I’m giving keynote addresses at the following events, do come along if you’re in the area! Animated Documentary has won the 2015 McLaren-Lambart Award for Best Book on Animation Published 2013-14 by the Society for Animation Studies. It’s such an honour to be recognised by this association, which has been a great source of support and inspiration for this book from its very earliest days as my PhD research. Animated Documentary is a vital addition to both animation scholarship and film studies scholarship more broadly, expertly achieving the tricky challenge of synthesising these two scholarly traditions to provide a compelling and brilliantly coherent account of the animated documentary form. 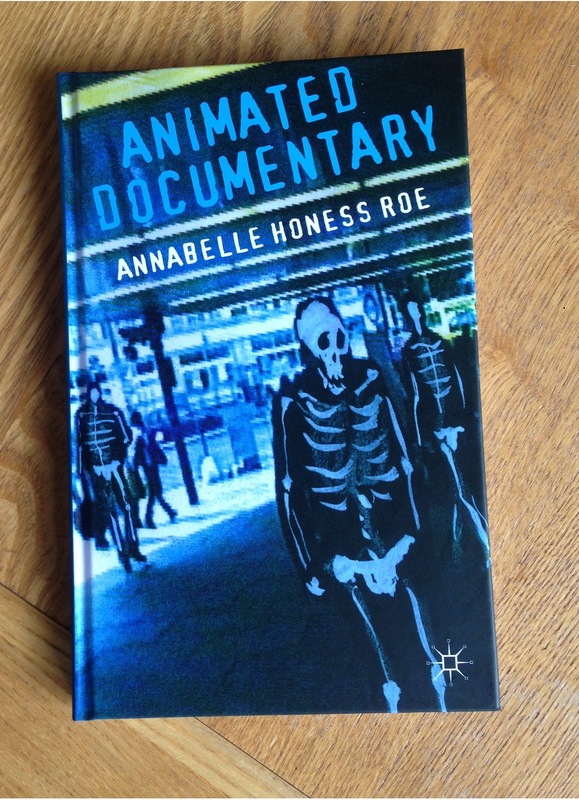 At the heart of Honess Roe’s book is the conviction that animated documentary “has the capacity to represent temporally, geographically, and psychologically distal aspects of life beyond the reach of live action” (p. 22). As a representational strategy, Honess Roe details how animated documentary can be seen to adopt techniques of “mimetic substitution, non-mimetic substitution and evocation” in response to the limitations of live action material (p. 26). Animated Documentary will without doubt become an essential resource for many years to come for anyone interested in the intersection of animation and documentary. The paperback version of Animated Documentary is now available! Hopefully this new, much more affordable version will make the book more accessible. It’s just been confirmed that the paperback version (aka a much more affordable one) of my book Animated Documentary is in production and should be released in February or March. I’ll post info here when I have more details. Finally, nearly two years after my book was published by Palgrave, a review! This is in the great online journal Alphaville. 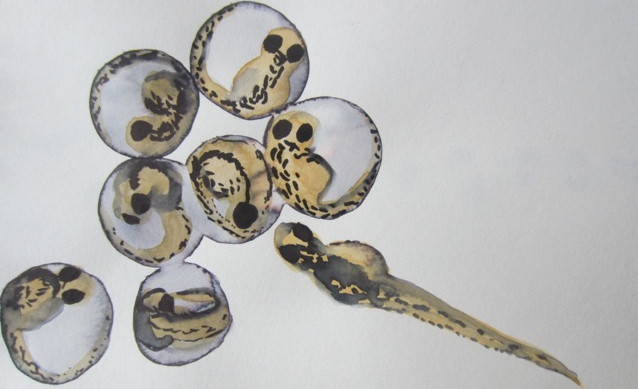 The blog has been quiet of late, as my time is taken up with new research projects that move away (but not entirely!) from animated documentary. I have been keeping a note of new publications though and have updated the animated docs info page. If you’ve published something on animated docs, or know of something that’s not on the list, please let me know. Finally, I wanted to belatedly congratulate the teams involved in the Silent Signal project in winning a large project grant from the Wellcome Trust. The project brings together animators and scientists, including two of my favourite animated documentary makers: Samantha Moore and Ellie Land. This work is of real relevance to one of my new areas of research and I can’t wait to see the finished films. Those of you who check in with my blog will have noticed it’s been a bit quiet recently. The main reason is pretty adorable (and she turns one in a few weeks), but it’s also because now that my book is out there and doing its thing, I’m beginning to move on to new research and writing projects (well, as much as that nearly-1-year-old will allow). However, animated documentaries are never too far from my thoughts – I’ll be talking about them, in part, in a keynote I’m giving at the St. Andrews postgraduate Film Studies symposium next week: Approaching Animation and they’ll feature in a presentation I’m giving on animated dance at the Society for Animation studies conference in Toronto in June. I’ll also be updating the Animated docs info on this blog soon with information on recent publications in the field. My book, Animated Documentary, has now been published by Palgrave. You can order from Palgrave’s UK website, with 50% discount (enter WANIMATED2013a) or from Palgrave’s US website with 20% discount (enter XP356ED). I also have a discount order form for those in Australia – just get in touch via the ‘contact me’ form on the About page and I can email you the form.